A would-be armed robbery was thwarted by a keen-eyed pizza delivery person last night in Stockton after being aware of a similar event earlier this week. Just before 11 p.m on Tuesday, March 1, the pizza delivery man was making a delivery on the 2600 block of Bonniebrook Drive in the Lakeview District when he observed someone hiding in the bushes. The delivery man contacted Stockton Police who detained then arrested Tavon Henerson, who was in possession of a BB gun and a ski mask on suspicion of attempted robbery. On the evening of Monday, February 27 another pizza delivery man was robbed at gunpoint on the 200 block of West Benjamin Holt Drive by three masked men. 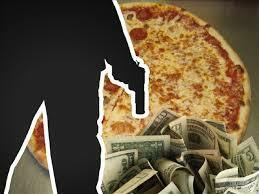 The robbers took the pizza and the victim's personal property before fleeing on foot.